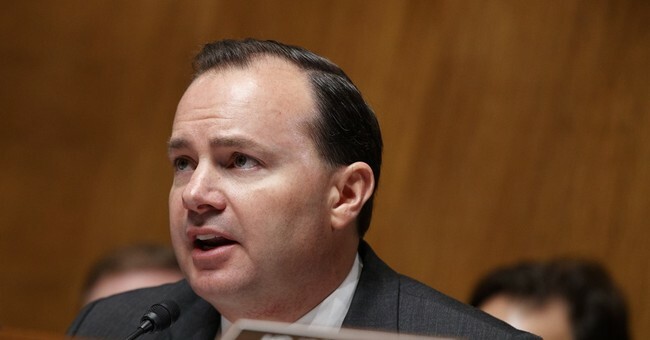 Sen. Mike Lee (R-UT) condemned religious tests for judicial nominees during a Senate Judiciary Committee hearing Thursday and ended up having a confrontation with Sen. Mazie Hirono (D-HI) who argued that sometimes questions about a nominee’s religious beliefs are relevant to how they will rule on certain matters. He then directly confronted Sen. Hirono, who has faced criticism for her scrutiny of judicial nominee Brian Buescher’s membership in the Knights of Columbus, a Catholic charitable organization of which John F. Kennedy was once a member. “I would ask Sen. Hirono, in what circumstance, in what way, shape, or form is asking Neomi Rao whether she believes particular conduct to be sinful an appropriate question to be asked in this committee,” Lee asked. “I know that,” Hirono replied, “I don't think we are here to censure the motives of each other’s questions, and I ask, I ask all of us to be very cognizant of the fact that we are here to try and do our jobs to the best of our ability and that is what we are doing." She seemed to take offense at Lee’s comments, emphasizing that she did not sit on the committee to have her motives questioned. Senate Democrats have been criticized in the past for asking religious questions of President Trump's judicial nominees. Carrie Severino, Chief Counsel and Policy Advisor with the Judicial Crisis Network, thanked Sen. Lee for his remarks.